FBI Director James B. Comey said today that the Bureau has recommended to the Department of Justice that no charges are appropriate following an extensive investigation of Hillary Clinton’s use of a personal e-mail system during her time as Secretary of State. 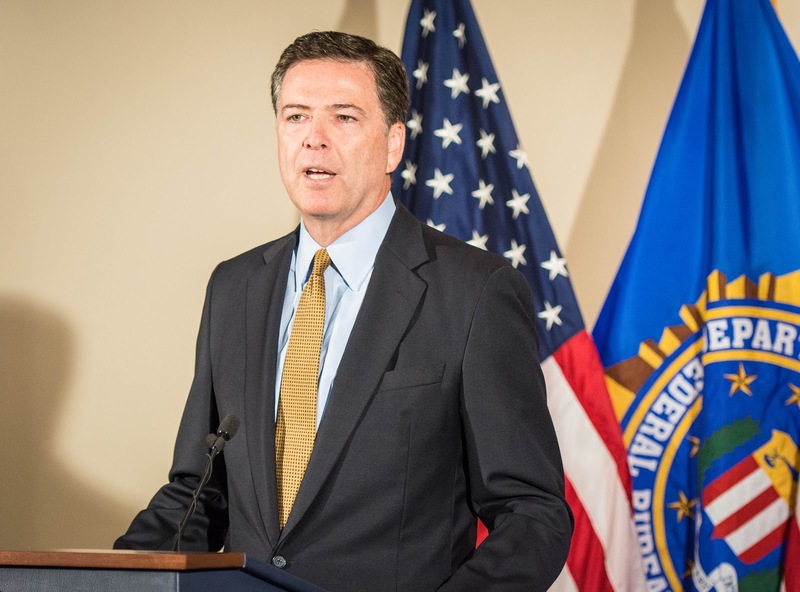 The FBI investigation followed a referral last July from the Intelligence Community Inspector General and focused on whether classified information was improperly stored or transmitted on Secretary Clinton’s personal e-mail servers during her four-year tenure. “Although there is evidence of potential violations of the statutes regarding the handling of classified information, our judgment is that no reasonable prosecutor would bring such a case,” Comey said during a 15-minute press briefing to reporters at FBI Headquarters. Note: The FBI director did not mention the other FBI investigation into allegations of corruption concerning Hillary and Bill Clinton and the Clinton Foundation.